Are you wishing it was deer season already? Dreaming about seeing monster bucks in your sleep? If so, you can get your whitetail fix on the Oak Creek YouTube Channel. We have over 40 videos and hours of footage of monster bucks and great hunts. Click here to go to the page and don't forget to subscribe so you don't miss a moment of the action this season. 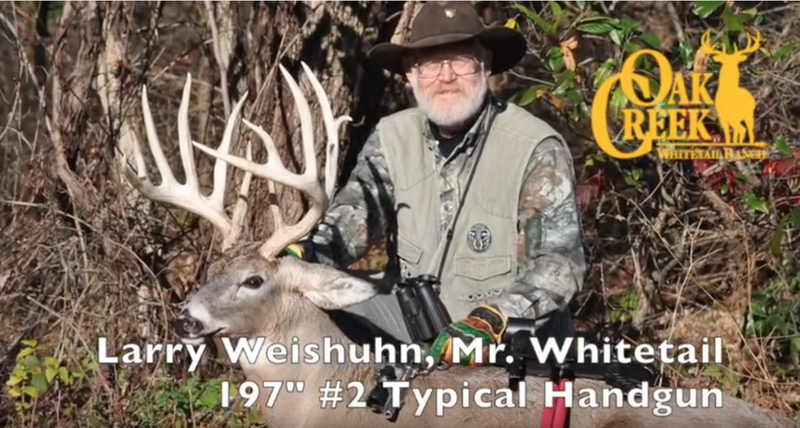 The Oak Creek Whitetail Ranch YouTube Page has everything from tv personalities to monster bucks fighting in the November rut that combine for over 600" of antlers. We will be updating with new videos regularly during the summer with footage of the bucks as the grow their new racks, so don't miss a moment of the excitement here at Oak Creek Whitetail Ranch.